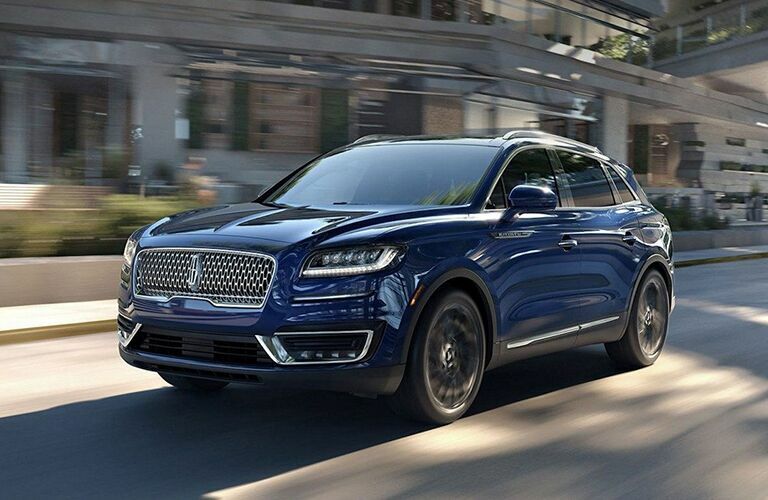 The all-new 2019 Lincoln Nautilus is an outstanding choice for a midsize luxury SUV, with its elegant styling, turbocharged engine options, advanced multimedia and driving assistance technologies, comfortable and luxurious interior, and a wide array of premium features. 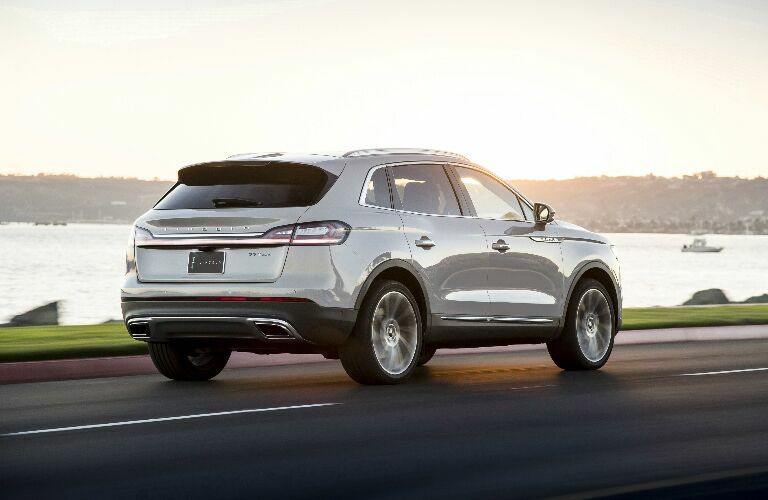 Whether you're driving on your daily commute or going on a family trip, the 2019 Lincoln Nautilus is a wonderful vehicle for your Kingston-area excursions. Get it at James Braden Lincoln! Buyers of the 2019 Lincoln Nautilus have a choice of two robust engines. The Turbocharged 2.0L I-4 engine delivers 250 horsepower and 280 lb-ft of torque — and if you desire an even more powerful driving experience, then you can get the Twin-Turbocharged 2.7L V6 engine, which doles out 335 horsepower and 380 lb-ft of torque. Both engines are mated to the smooth-shifting 8-Speed SelectShift automatic transmission, which features paddle shifters for manual shifting capabilities. Confident and responsive steering comes courtesy of the Electronic Power-Assisted Steering system. Do you have towing needs? With the Class II Trailer tow package, the Nautilus can tow up to 3,500 pounds (1,587 kg). And for optimal traction over challenging terrains and in adverse weather conditions, the Nautilus offers the Intelligent All-Wheel Drive system. The 2019 Lincoln Nautilus can comfortably seat five people, with a total passenger volume of 108.3 cu-ft (3,067 L) and plenty of headroom and legroom for each seat. 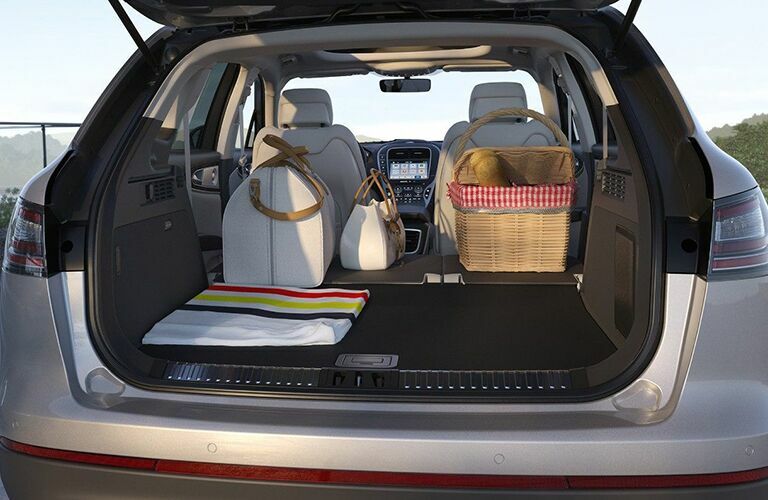 There’s an abundance of cargo space as well, with a maximum cargo capacity of 68.8 cu-ft (1,948 L). The all-new Nautilus comes well-equipped with a wide array of advanced technologies. The SYNC 3 infotainment system features a user-friendly LCD capacitive touchscreen, along with Apple CarPlay and Android Auto smartphone integration, while the in-vehicle Wi-Fi hotspot enables you to be connected to the internet while on the go. The Nautilus also offers many state-of-the-art driving assistance technologies, including Cross-Traffic Alert, the Blind Spot Information System, and Pre-Collision Assist with Automatic Emergency Braking. 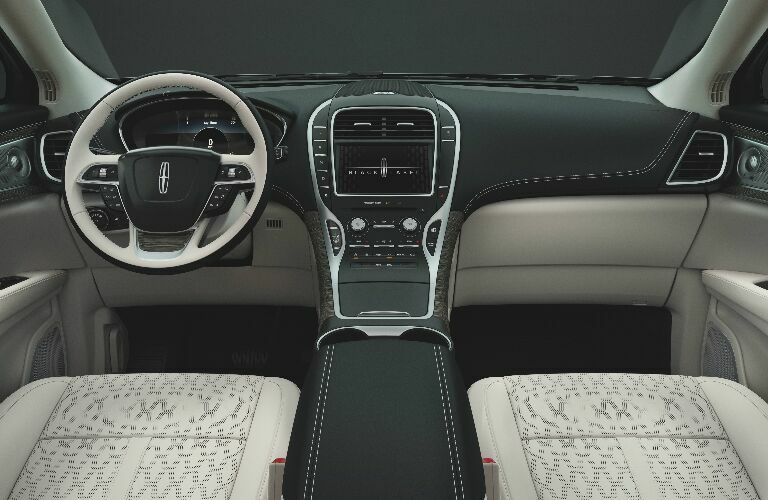 Experience the impressive features and capabilities of the all-new 2019 Lincoln Nautilus! Take it for a test drive at James Braden Lincoln!